LG has begun sending early invitations or 'save-the-dates' to the media for its press event. 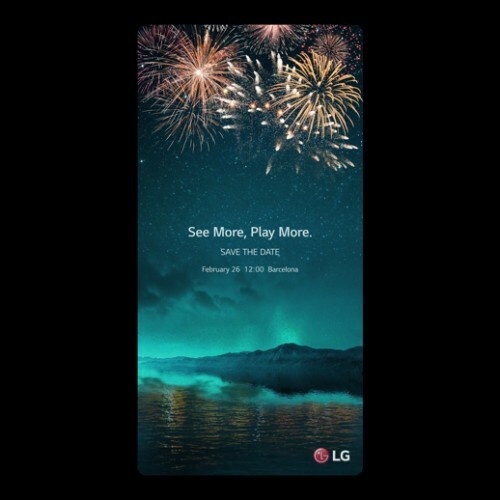 The invite is in the outline of a smartphone, and the text says "See More, Play More". Right away, we could tie the first part with a larger screen: See more. While the other part could be indicative of a higher-capacity battery: Play more. LG is Rumored to debut its new display with 18:9 aspect ratio. A more recent LG teaser aims at the G6 being waterproof and having a larger display. Which brings us to a larger 5.7 inch display with a resolution of 2880x1440px. With the G5’s underwhelming sales, many are expecting LG to bounce back with the LG G6. Let’s hope the new device won’t suffer from any bootloops in the long run. See more = larger screen and Play more = a larger stamina battery. The larger screen part we are sure of but the play more part is yet to be confirmed. We all hope there will be a huge 4000+mAh battery inside so we can play more. Choices choices.